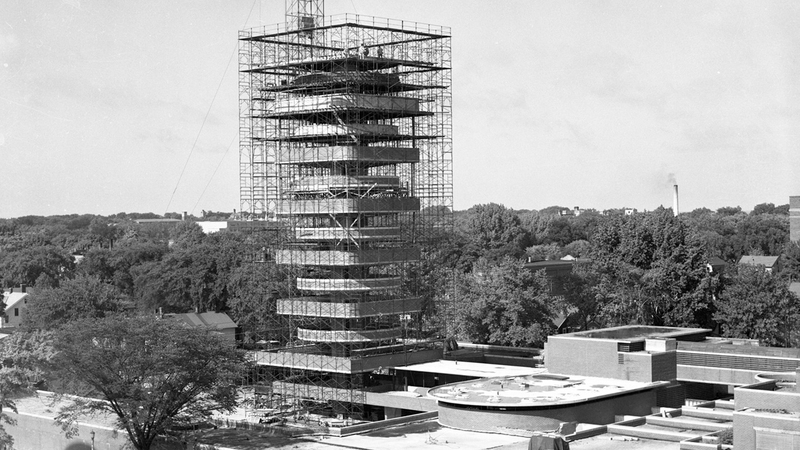 One of Frank Lloyd Wright's famous buildings, the tower rises more than 150 feet into the air and is 40 feet square. Yet at ground level, it is supported by a base only 13 feet across at its narrowest point. 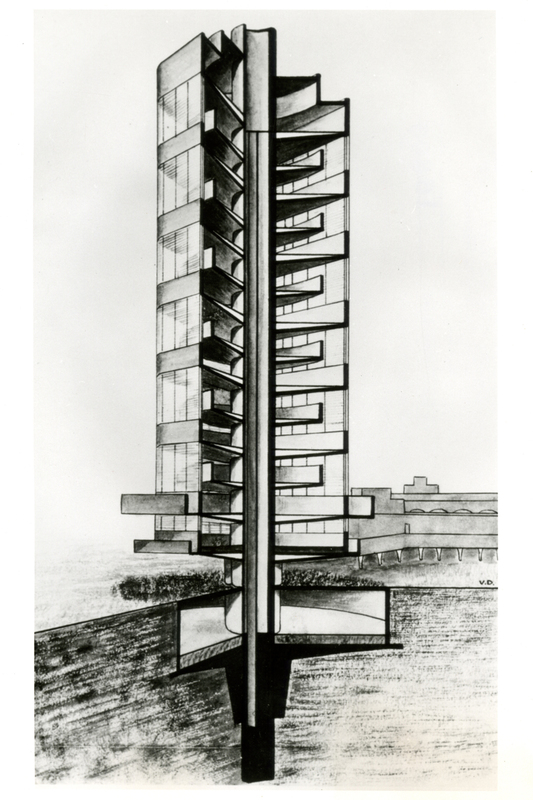 As a result, the tower almost seems to hang in the air – a testament to creativity and an inspiration for the innovative products that would be developed inside. 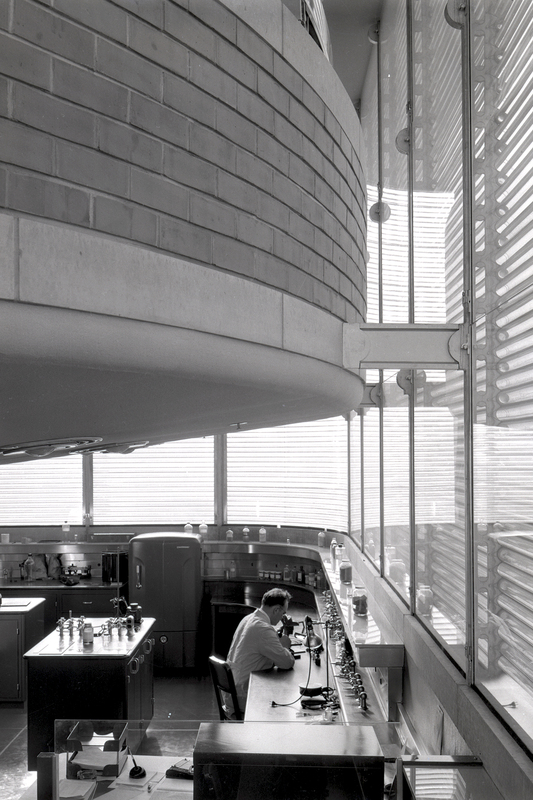 Alternating square floors and round mezzanine levels make up the interior, and are supported by the “taproot” core, which also contains the building’s lift, stairway and restrooms. The core extends 54 feet into the ground, providing stability like the roots of a tall tree. We like to think it was both! 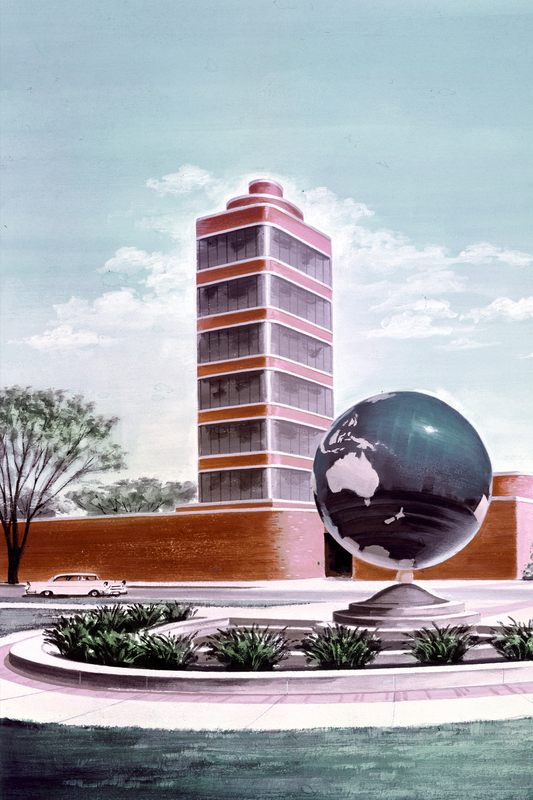 And the tower, along with the Administration Building, became recognised as hallmarks of American design. Silhouettes of the buildings appeared on company letterhead, and even packaging, as enduring symbols of creative inspiration. 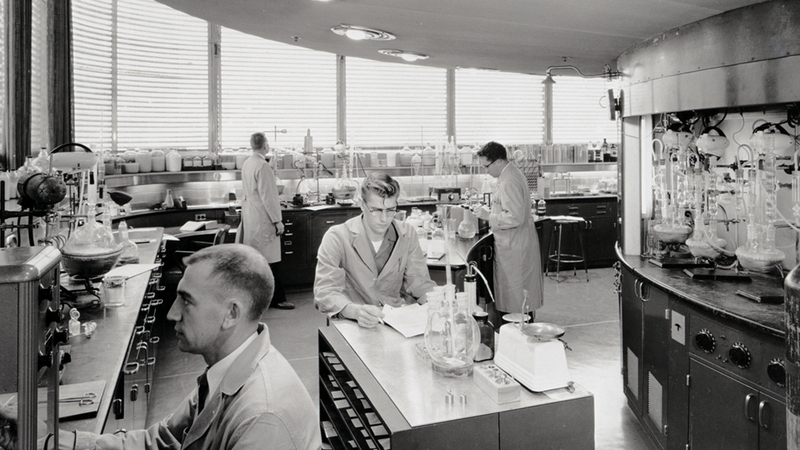 In 2013, following a year of restoration, the Research Tower flashed alive once again, illuminating the night sky. We hope you will come to see the tower for yourself. 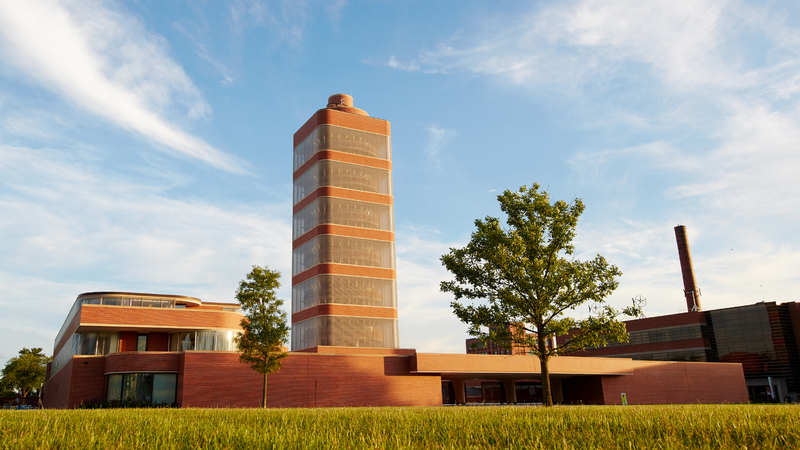 Tours of our global headquarters and Frank Lloyd Wright-designed campus are free and open to the public with advance reservations. There truly is no more towering testament to innovation.